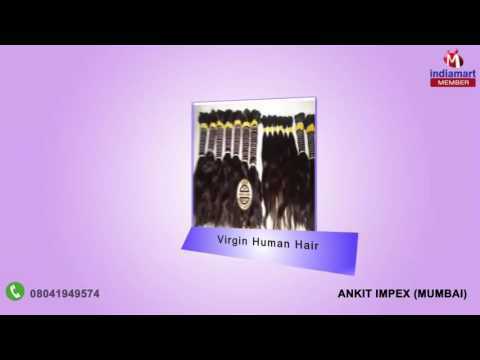 Established in the year 1945, Ankit Impex have emerged as a leading manufacturer,Exporter, Dealer,trader and supplier of Hair Wigs, Human Hair, Hand Tied Weft, Hair Extensions, Hair Replacement System, Hair Addition, Wavy Hair Wigs, Ladies Hair Wigs, Brazilian Hair Wigs, Curly Wig Hair, Cancer patients Wigs, Wig Colours, Machine Tied Weft and Hair Accessories. We offer supreme in quality and stylish assortment of wigs to provide the changing needs and demands of our customers in the most effectual manner. Procuring agents employed with our company, source finest quality raw material to provide quality products to our customers.